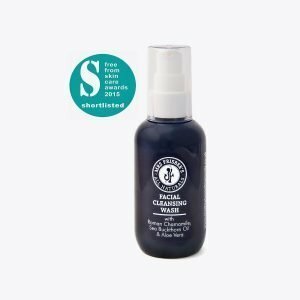 Winner at the Freeform Skincare Awards 2017. Gentle enough for use on both cosmetic tattooing and body art. Suitable for all skin types, our fragrance and allergen-free Tattoo Aftercare Balm is a unique formula of 100% natural ingredients. 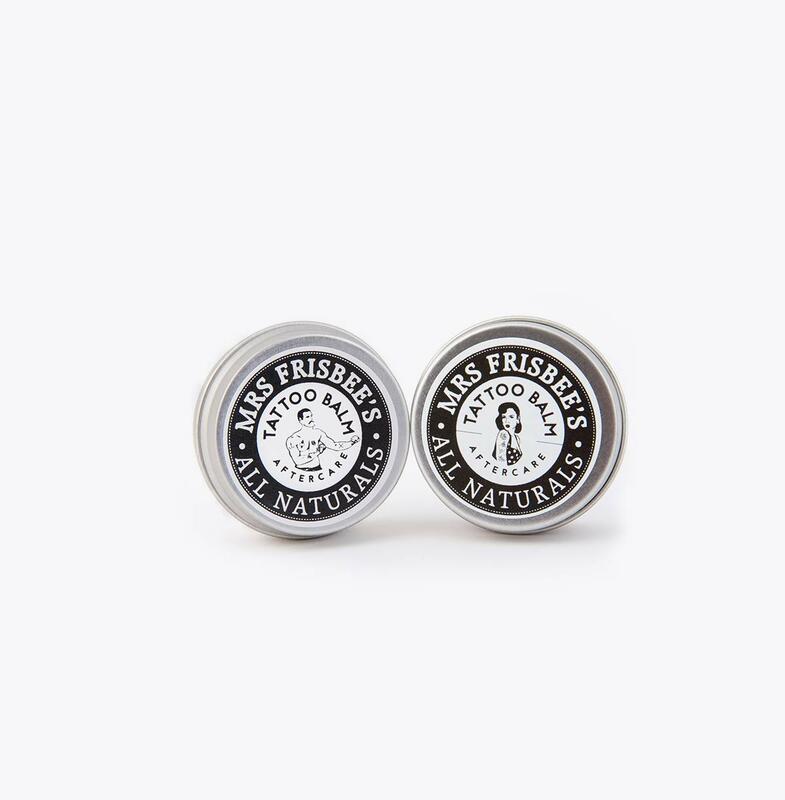 Free from parabens, petroleum, lanolin, artificial ingredients and chemicals. Choose between the tin with the Pinup Girl design or the Boxer design (both are exactly the same product inside the tin). The aftercare of your newly tattooed skin is paramount to the healing proccess and the finished look of your tattoo. We have developed a safe and effective tattoo aftercare system suitable for use in PMU cosmetic tattooing, microblading and body art. Prepare the skin pre-tattooing by softening and moisturising the skin. Help heal and soothe new tattoos and prevent inflammation and itching whilst healing. Revive old tattoos by the hydrating skin, therefore enhancing colours and renewing detail. Calendula Oil: known to help heal and soothe swollen skin, reduce itching, heal wounds, scars, burns and help reduce inflammation. Antioxidant rich, anti-inflammatory and anti-fungal. Avocado Oil: a hydrating and nourishing oil with rejuvenating and cell renewal properties. It is excellent for soothing sore, damaged skin. It helps skin retain its moisture and protects against harmful factors of the environment. Also rich in vitamins and essential fatty acids. Sunflower Seed Oil: this healing and soothing oil is a great natural moisturiser with natural anti-inflammatory properties. Also high in antioxidants and nutrients, this anti-ageing oil with cell renewal properties can help prevent wrinkles, premature ageing and heal damaged and sun-damaged skin. 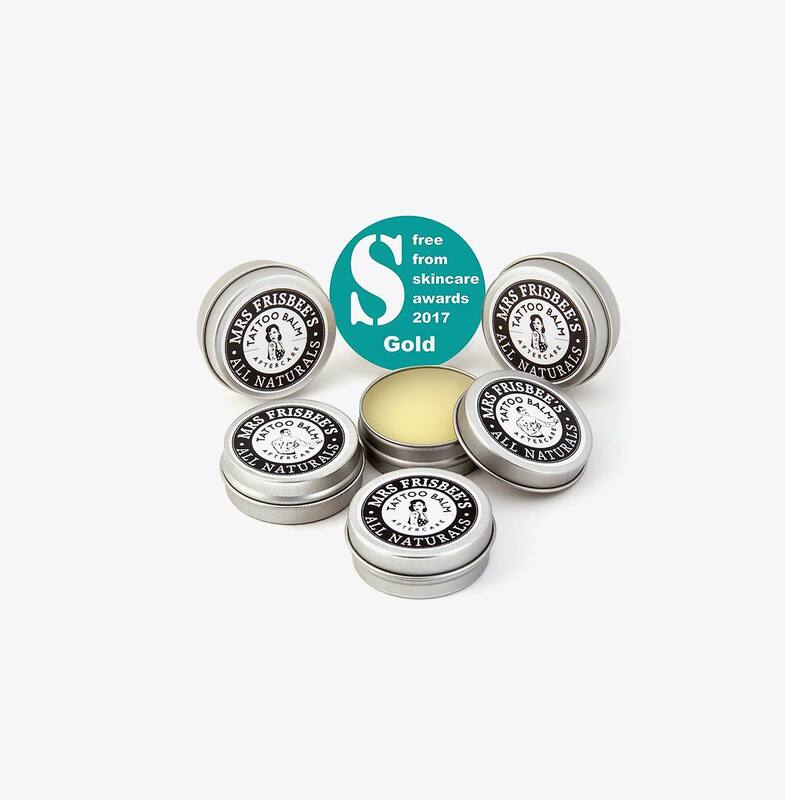 Shea Butter: a rich and nourishing natural moisturiser with anti-bacterial and anti-inflammatory properties which can help heal and soothe sore, sensitive skin. 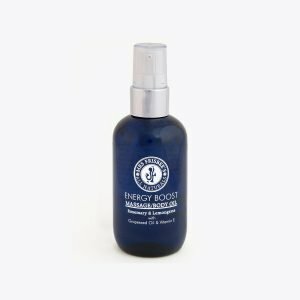 Also known to help cellular regeneration and growth, helping to repair damaged skin, maintaining the skins elasticity, keeping it hydrated and supple. Cocoa Butter: hydrating, soothing and moisturising. Known to promote healing and protect injured skin by forming a barrier, slowing down the loss of water from the skin. Also rich in antioxidants and anti-bacterial properties. Vitamin E: one of the most powerful antioxidants. As well as having great cell renewal properties, vitamin E also protects and repairs your skin by neutralising the oxidant effect of free radicals, which are the molecules that damage collagen causing skin dryness, fine lines and wrinkles. Beeswax: contains natural anti-bacterial, anti-inflammatory, anti-allergenic and antioxidant properties. It can help improve the condition and texture of the skin by locking in moisture and protecting the skin from environmental damage. Directions: Wash hands thoroughly. 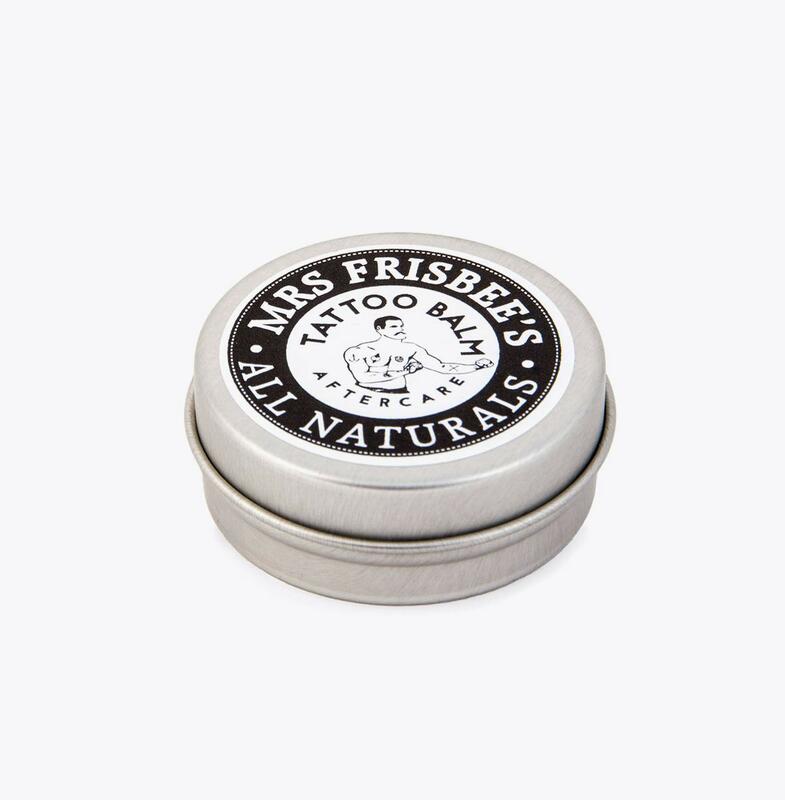 Apply a small amount of tattoo balm directly to tattooed area then gently massage into skin. Apply every few hours as required. Safety: Contains nut oils. Discontinue use if irritation occurs. For external use only. Store out of direct sunlight. I am a professional cosmetic tattoo artist and it is essential for me to provide my clients with the best aftercare balm as part of their healing process. 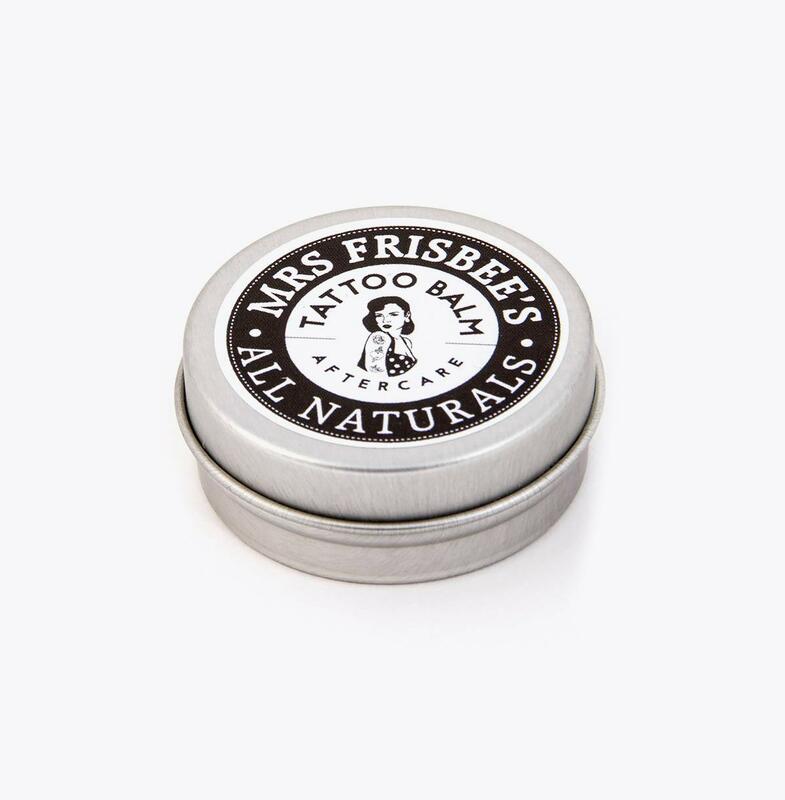 I am delighted with the quality of Mrs Frisbees tattoo balm and the feedback which I have received from my clients who have all used it has been fantastic! Great price, not tested on animals and parabens free are all excellent bonuses in line with our businesses ethics. Brought colour back out of old tattoo very good product very moisturiszing as well. Thank you for taking the time to review our Tattoo Aftercare Balm. Following on from our email conversation, we posted your order to the address you gave us. However, you’d put house number 2 when you meant to put number 3. Point taken about the size but unfortunately we don’t do a larger size. Bought this to use on my newly microbladed eyebrows…. great product and has helped during initial healing phase with minimal scabbing. Highly recommended. 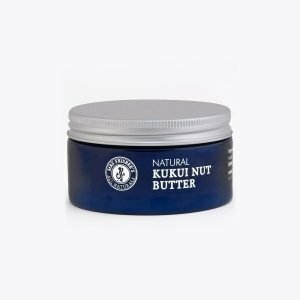 SIZE – 100g Kukui nut butter is an effective natural moisturiser, renowned for its rejuvenating and soothing effects upon the skin. 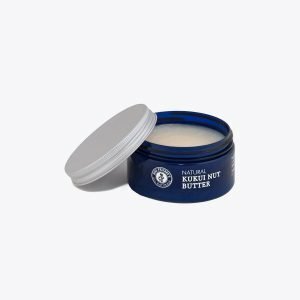 This unique body butter quickly penetrates the skin, creating a protective shield that locks in moisture, leaving even the driest, roughest skin feeling hydrated and silky smooth. SIZE – 100ml This is a stimulating and invigorating blend of Rosemary and Lemongrass essential oils. SIZE – 100ml This face wash with Sea Buckthorn oil, Aloe Vera and Roman Chamomile will help gently cleanse your skin without drying it out, leaving it feeling soft and nourished. The Roman Chamomile contains natural anti-inflammatory properties which will calm and soothe sensitive and irritated skin. [spb_accordion width="1/1" el_position="first last"] [spb_accordion_tab title="Description" accordion_id="description" icon=""] [spb_text_block animation="none" animation_delay="0" simplified_controls="yes" custom_css_percentage="no" padding_vertical="0" padding_horizontal="0" margin_vertical="0" custom_css="margin-top: 0px;margin-bottom: 0px;" border_size="0" border_styling_global="default" width="1/1" el_position="first last"] Ingredients And Thieir Known Benefits Sea Buckthorn oil: known for its anti-ageing and cell regenerating properties, it contains an abundance of bio-active components, making it rich in natural minerals and vitamins. Its properties help to revive, renew, replenish and protect the skin. Sea Buckthorn has a natural antibacterial action and has 6 different fat soluble vitamins, 22 fatty acids, 42 kinds of lipids and 36 kinds of flavonoids. It is a rich natural source of vitamin A (Beta Carotene) and Omega 7. Aloe Vera: known for its natural soothing, healing, restoring and regenerating effect on the skin. Applied topically it is beneficial in treating the following conditions: skin irritations / burns / scalds / sunburn / wounds / eczema / psoriasis / acne / dermatitis / ulcers. Aloe Vera also helps stimulate cell regeneration. Roman Chamomile: soothing, calming with natural anti-inflammatory properties. Directions: Wet face then apply two or three pumps of facial cleanser to fingertips and massage into face and neck, then rinse with cool, clean water. Please note that this product does not foam up. Safety: Do not use if pregnant, due to the pure essential oils used in this product. Naturally active ingredients: Aloe Vera, Sea Buckthorn oil, Roman Chamomile.